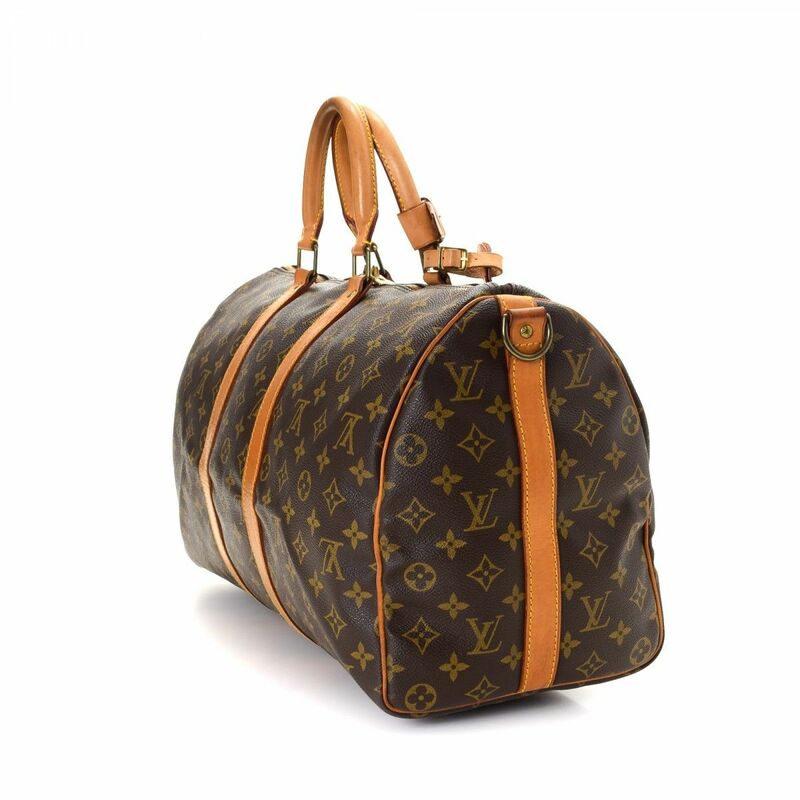 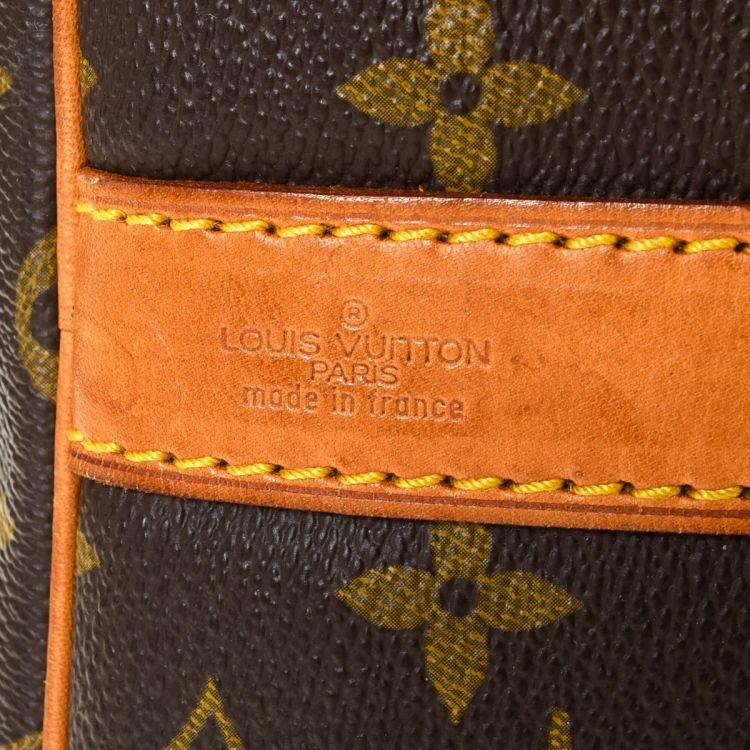 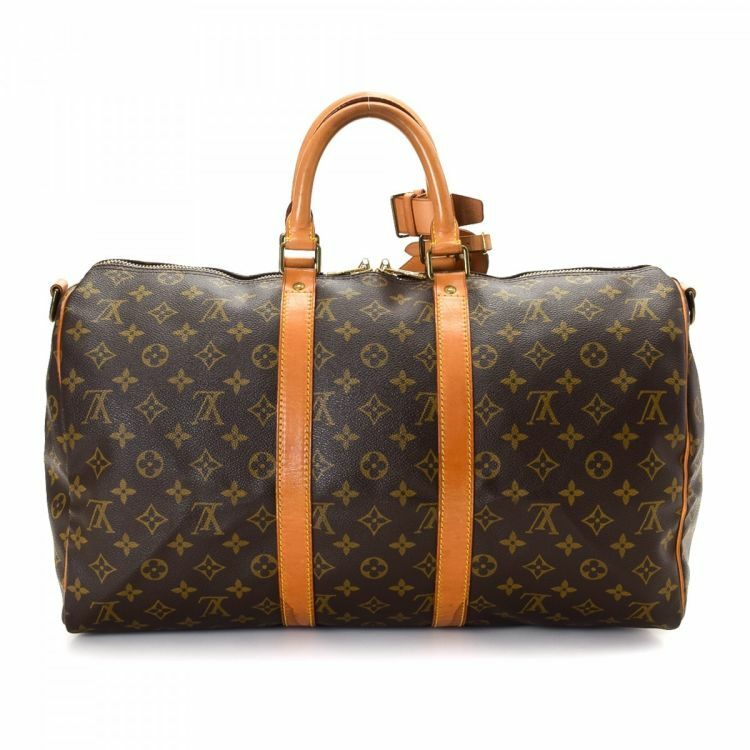 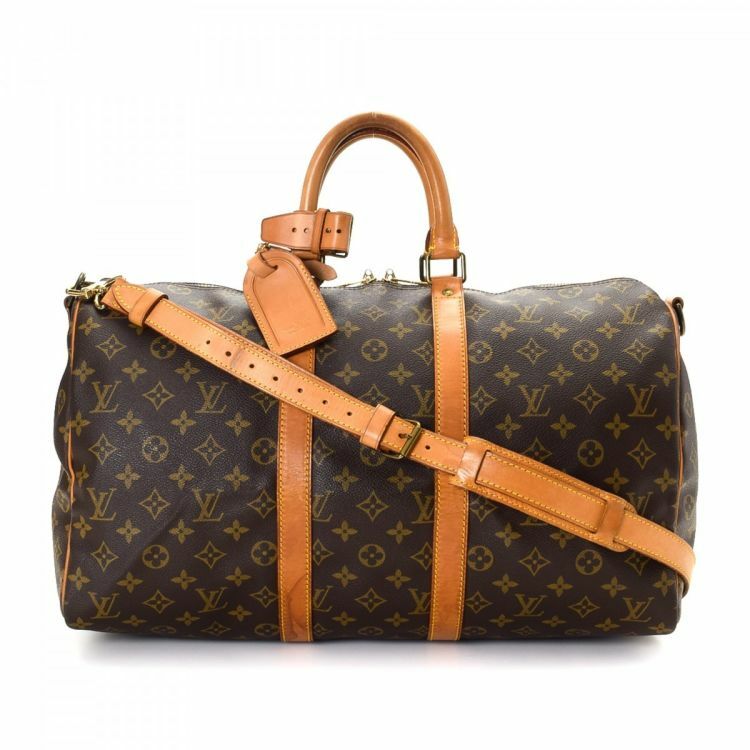 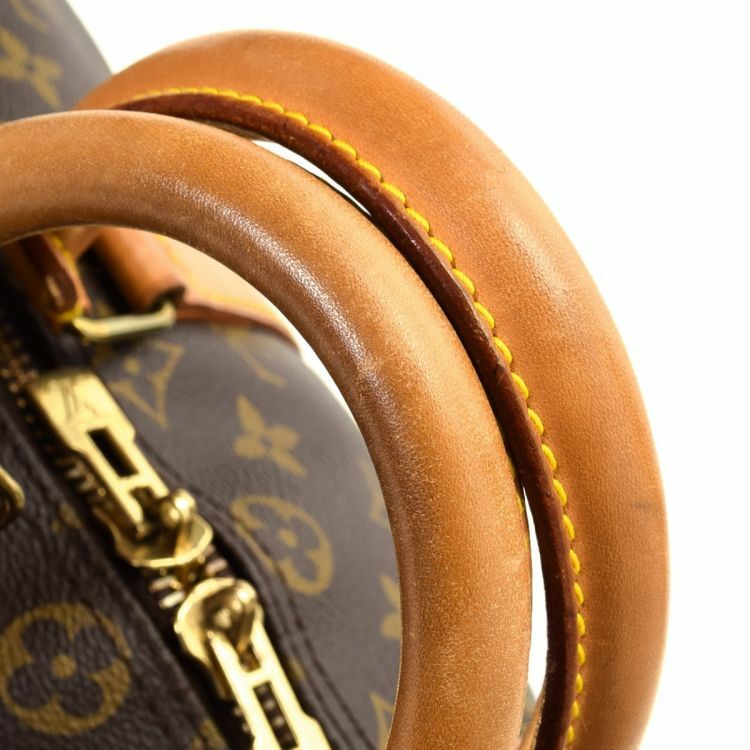 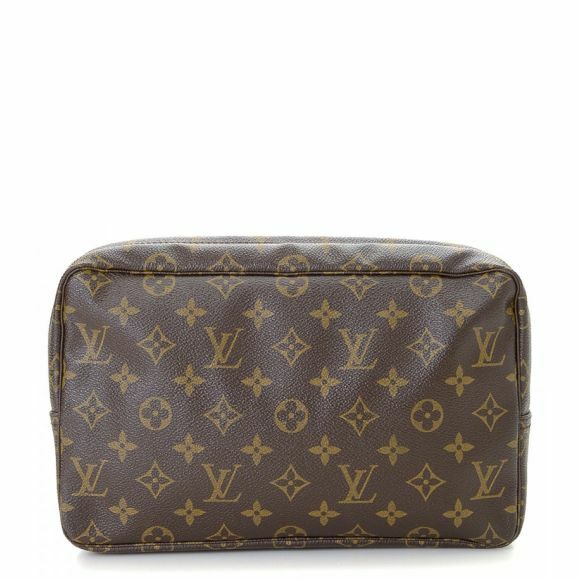 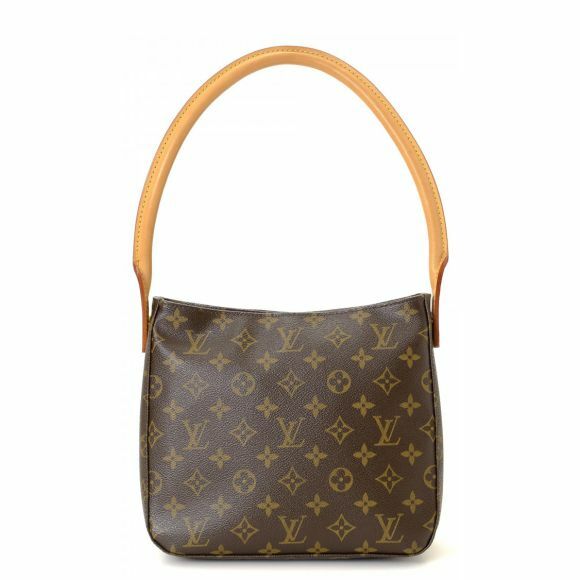 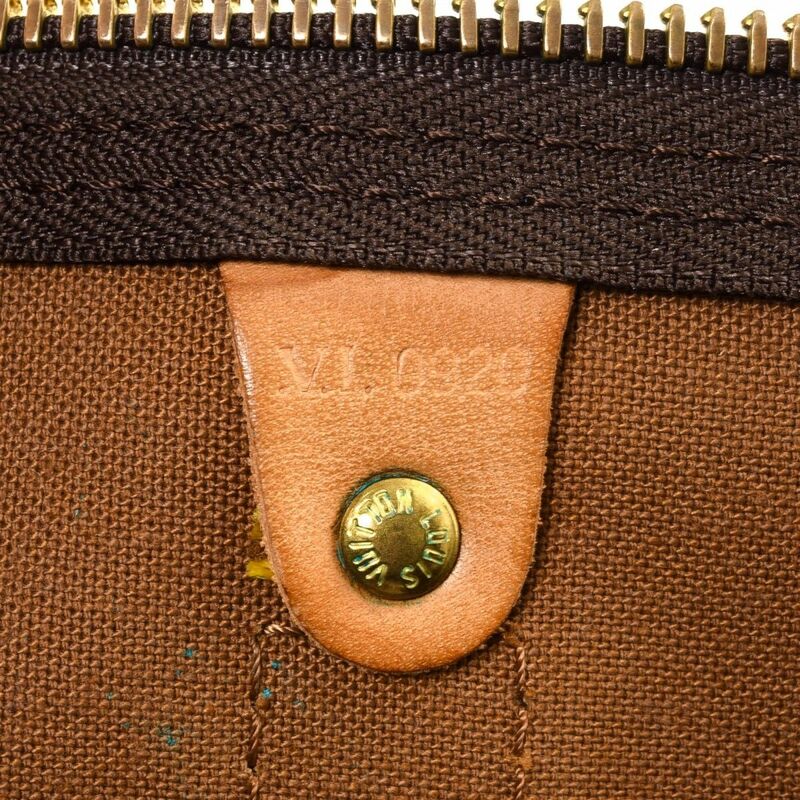 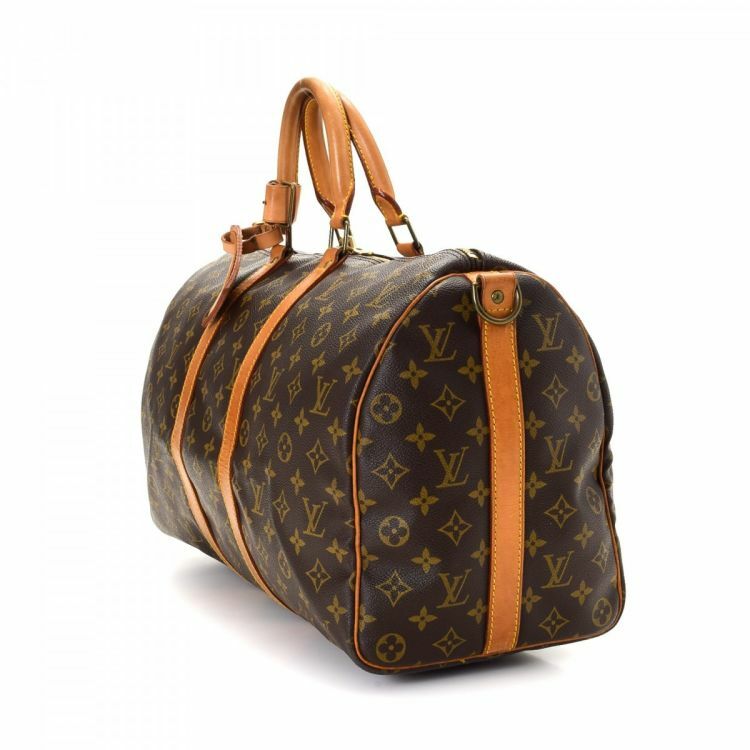 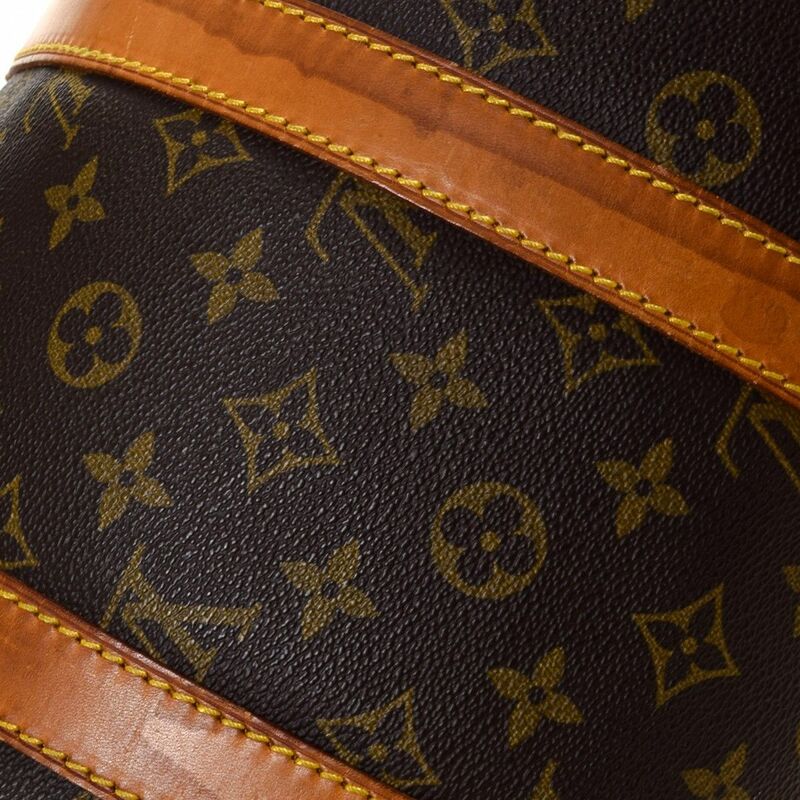 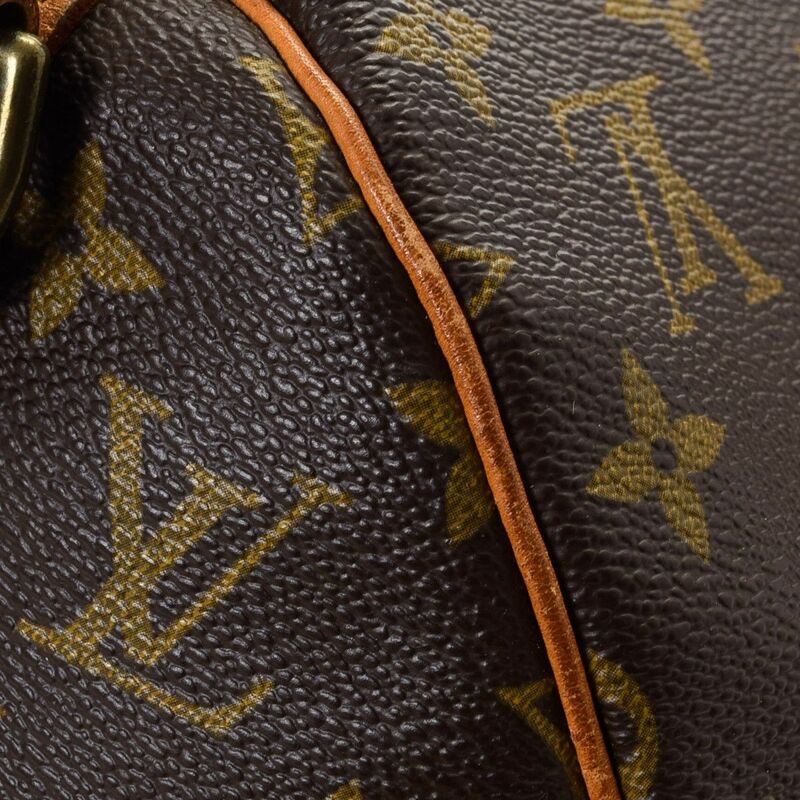 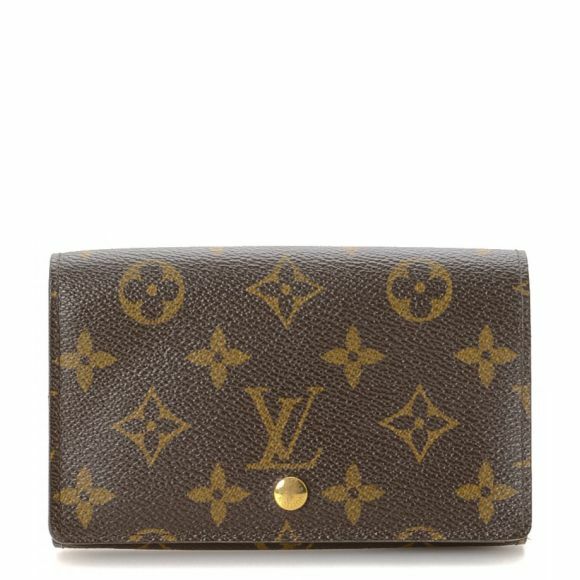 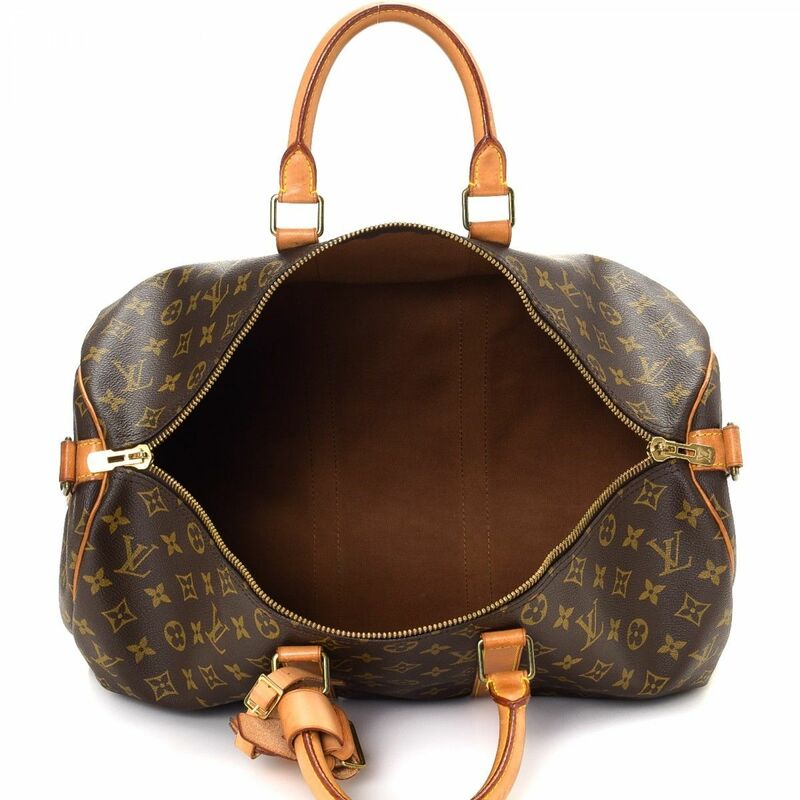 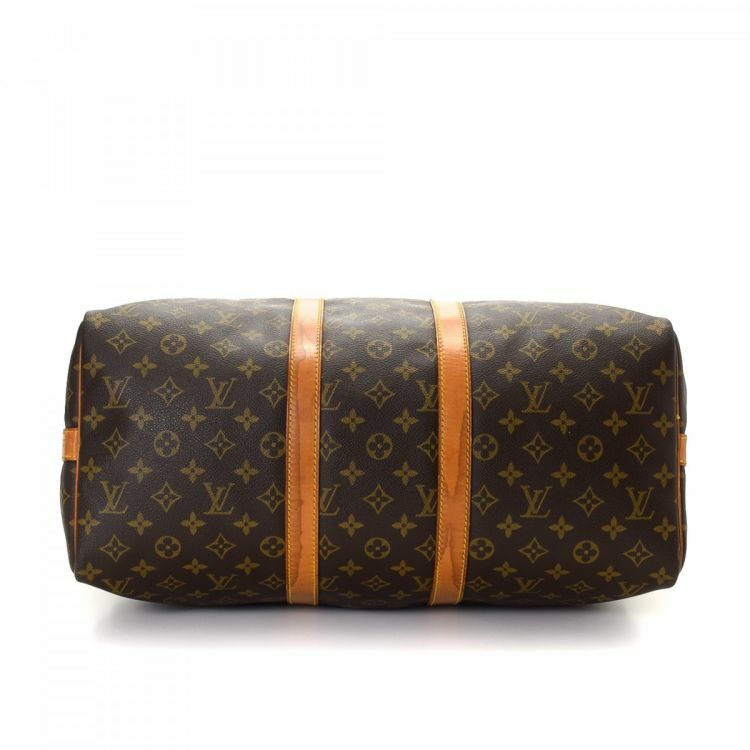 LXRandCo guarantees the authenticity of this vintage Louis Vuitton Keepall 45 Bandouliere travel bag. 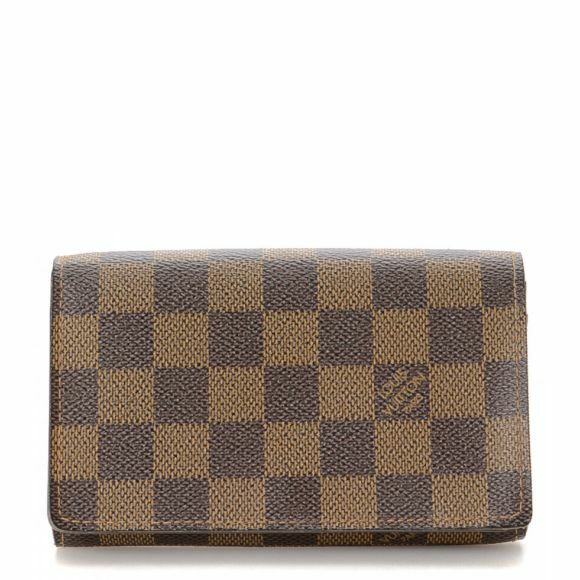 Crafted in monogram coated canvas, this iconic carry-on comes in brown. 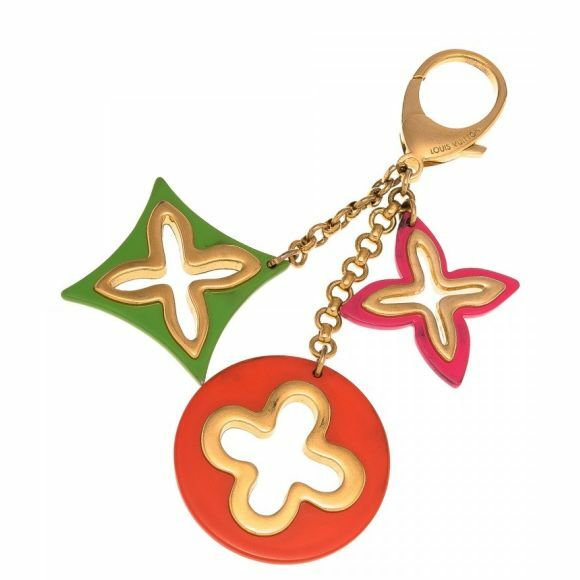 Due to the vintage nature of this product, there are scuff marks and darkening on the piping and handles as well as creases and discoloration on the leather trim and strap.